Sew! Can! 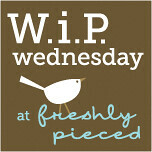 Kenna: WIP Wednesday to CELEBRATE!! 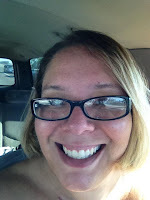 I am celebrating the end of Chemo. I finished!!! I am ALLLLLL DONE with chemo. My journey through breast cancer isn't finished (I still have to go through Herceptin and then tamoxifen) but I am finished, done, completed my cycle of chemo! I didn't get sick as many do. I was tired, I was achy, I had good days and bad, but overall it was a few days every 3 weeks that were bad and the rest were pretty darn good. But it's still chemo and it still wrecks your schedule and your plans and it's alllll done. I have been using some of my time to quilt and get projects done. One of them is an ongoing project that I was working on with a friend. She wanted to make a replacement "blankey" for her daughters birthday. Her 19th birthday! :) and so we found the actual fabric of the original blanket on ebay and we started making a bigger version. It was her very first quilt and I think she did a fantastic job. The original had a satin ruffle....and a snugly flannel back. So the new one did too. And it turned out very very well. Not bad for her first quilt!! I've been playing around with the self mitering blanket, and I think I like the thinner miter than the wider. I will be making the middle version more in the future. The top blanket has no mitered border because I didn't have enough of the second fabric to make a mitered border. It's narrower flannel....but the double layer flannel blankets are the perfect weight for a southern California fall! I have a list of things waiting...I need to do borders and finish my fall decor so I can do a blog post about my adorable table runner! Congratulations sweetie - good for you. May you be blessed with continued healing. I know you will reach out to make a difference in all that you do, Kenna. What a relief and joy for you! Big smiles here for you.